I’m speaking about theme development at WordCamp San Francisco this year. I would love to tell you more about it, but I should probably go work on my slides. WordCamp Austin Was a Blast! Austin has always been on my list of places to visit, and now that I did I know it was totally worth the long travel. Huge WordPress community, very friendly people and a well organized WordCamp, not to mention that wonderful food experience. I met and chatted with a lot of new folks – developers, designers, bloggers, business owners and beginners eager to use and learn WordPress. It was so overwhelming, in a good way obviously, and the BBQ – so delicious! The unofficial CigarCamp was the perfect way to end the day. Dev Day on Sunday was a total blast, that’s where all the super geek talk happened over pizza. That’s where I was able to get a few minutes on stage to talk about contributing to WordPress and encouraged people to chime in. So huge props to everybody who made it happen: organizers and volunteers, speakers, sponsors, attendees, and a very special thanks to the WP Engine folks for hosting Dev Day. Hope to make it next year! Texas has been on my list for a while now and Austin sounds like a great place to start. Looking forward for some sunshine, good company, great food and an exciting WordCamp Austin 2013. Maybe even a roundhouse kick to the face. In 2011 I spoke at zero WordCamps. 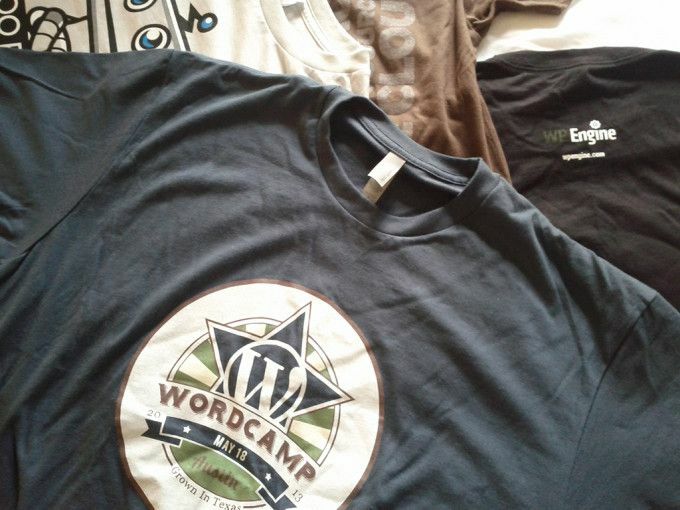 In 2012 I spoke only at WordCamp Sofia. One of my goals for 2013 is to speak at five different WordCamps, and it all starts as early as January with WordCamp Norway. WordCamp Norway is January 26th in Oslo, and I’m really excited since I’ve never been anywhere near Norway. Flight tickets ready and hotel booked, the only thing remaining is the presentation. I’ll have a 25 minute slot and will probably be talking about tips and tricks to make you a better WordPress theme developer. If you’re not attending, you’ll most likely be able to catch all the talks on WordPress.tv after the event. I haven’t made any specific plans about the other four WordCamps, so if you’re organizing one in your area this year, and have a slot for an extra speaker, don’t hesitate to ping me. Make sure you do that at least a month prior to the event, since I’ll have to apply for a visa and all those boring things. Are you speaking at any events this year? Update: slides and notes for 7 Tips for Better WordPress Theme Development.